The UN International Telecommunication Union (ITU) has included Azerbaijan's Digital Trade HUB into the WSIS 2018 candidates, a prestigious ICT prize. 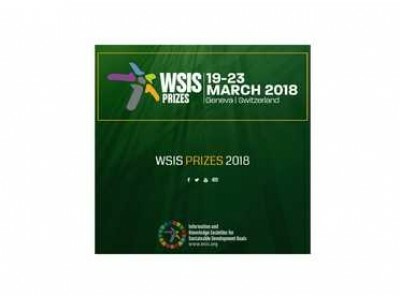 The Digital Trade Hub of Azerbaijan is one of the 38 nominees in the web-page of the International Telecommunication Union (https://www.itu.int/net4/wsis/prizes/2018/) in the section "ICT application in Business". Nijat Asadli, Manager of the Digital Trade Hub of Azerbaijan, says that recognition of such innovative and digital project of Azerbaijan by the international event (competition) is a great achievement. "This is a value given to the innovative economy in Azerbaijan by the most respected international organizations in the world as the United Nations Organization and its International Telecommunication Union. The Digital Trade Hub advanced the first round with score enough to step the next round in order to be among the top five. Voting is currently active on ITU's website and is open to all users. " It should be noted that the International Telecommunication Union (ITU) is a UN organization specialized on information and communication technologies. Annually the WSIS Forum selects and rewards among the candidates who are implementing ICT-oriented projects. The use of ICT power in the selection of candidates is considered as a key criterion. Here, various projects of individuals, governments, civil society, local, regional and international organizations, scientific institutions and the private sector are reviewed, evaluated and awarded those with the most votes. The Digital Trade Hub of Azerbaijan was established by the Center for Analysis of Economic Reforms and Communication in accordance with the Decree of the President of the Republic of Azerbaijan "On additional measures towards strengthening the position of the Republic of Azerbaijan as a digital trade hub and expanding foreign trade operations" signed on 22 February 2017.